Love your DreamMaker newly remodeled kitchen and bath? Think what DreamMaker can do for the rest of your house! Whether it’s a master closet, an entertainment room, a home office or opening up space, you can count on DreamMaker for all of your home remodeling needs. The best thing about remodeling your existing home is you get to keep your old address, your neighborhood and all the happy memories you built with your family in this home. Still, you look around your home and wish you could improve its functionality and update its style. We are proud to serve homeowners in Amarillo, including Canyon, Pampa, Borger, Dumas, Hereford, the Panhandle, Dimmitt, Tulia and Fritch. Come visit us in our design center or give us a call today regarding your interior remodel. Customers return to DreamMaker again and again when they want to remodel another area or room. Whether it is remodeling a utility room, basement or bedroom or adding an entertainment room or home office, DreamMaker can make all your dreams come true. Enjoy the remodeling process from start to finish. A large-scale remodeling project can make day-to-day living in your home a challenge. That’s why it is more important then ever to choose the right company to perform the work. Our entire process creates a positive and enjoyable experience from concept through completion for our clients. In today’s world, more and more people are opting to work from home. Sure, you can plug in your laptop at the kitchen table or nook, but having a home office means not having to drag out your work every time you begin. Whether it’s a home office that’s used full-time or part-time or a study for the kids doing homework, we will make sure you have a fully functional, but attractive office space. Our remodeling team in Lubbock operates on a stringent Code of Values™ that is expressed through treating customers with absolute respect and demonstrating integrity in all the work they do. No matter what vision you have for your bathroom remodel, we will work tirelessly to ensure the end result meets even your highest expectations. It wasn’t so many decades ago, the family gathered around a large radio to be entertained. Then came television, and the first one in the neighborhood became the gathering place. The Big Screen also was drawing many who enjoyed a good movie. As technology advanced, and streaming brought just released movies into your home, families once again enjoyed gathering at home for the latest in entertainment whether it was to watch a movie or to play electronic games. That’s when creating an entertainment center in your home became a trend. That’s where we come in. Our DreamMaker Bath & Kitchen remodeling experts go beyond the kitchen and bath areas to help you create the latest in entertainment areas. What would you like in your home entertainment area? Some home theaters mimic the Big Screen and offer a windowless, dark environment with surround sound. Add a popcorn machine and a candy bar, and who wants to leave home for entertainment? Other homes take an existing family room and create an inviting theater setting. Still, others offer a mounted flat screen TV on the wall with built-ins for gaming devices and comfortable seating. On a small scale, you can add a wet bar with mini-fridge, candy drawer and microwave, or you can opt for a larger investment with a full-fledged home bar, complete with your favorite alcoholic drinks and barware. If you want to go big, mimic a true concession stand with glass cabinets, popcorn maker and soda fountain machine. We can help get you started. 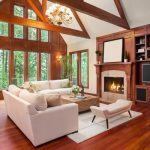 Our designer will gladly meet with you at your convenience to discuss the many possibilities for your entertainment area or media room remodel. If you long to get organized, a closet is a great place to start. Here in Lubbock, we can suggest several options to make organizing easy. Having a custom closet means the end of digging through a pile of shoes on the floor to find a matching pair or having a stack of T-shirts fall on your head as you’re reaching for only one. 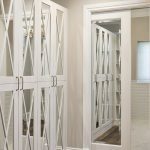 We can design a closet solution for you! Whether you opt for a luxurious walk-in closet or a simply have your present closet equipped with organizers, we offer full design services, professional installation and product choices to fit every budget. There was a time a century or so ago that homes did not have closets. If you are in one of these older homes, consider taking a bedroom or other small room and let Dreammaker create the closet of your dreams. If it’s an adjoining room, you can ask for a doorway into your new closet from your master bedroom. The ideas are endless. As closets came into vogue as a way to store clothes and other items, they were added to most homes. For the most part, though, the closet addition in a bed-room was a “reach-in” style, shallow with a clothes rod hung across it. Even these type of closets can get a makeover, benefiting from lower clothes bars and built-in drawers. Our designer will create a closet to meet your every need. How about a hidden tie rack that pulls out? A large inset into a wall just outside the closet can house a jewelry closet with a mirror on the inside and outside for easy assessment when dressing. An organized closet is just that, everything has its place. 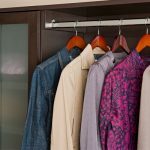 From shoes to shirts, long hanging clothes, short hanging clothes, DreamMaker can build a place for it all. We work on Enhancing Lives. Improving Homes™.